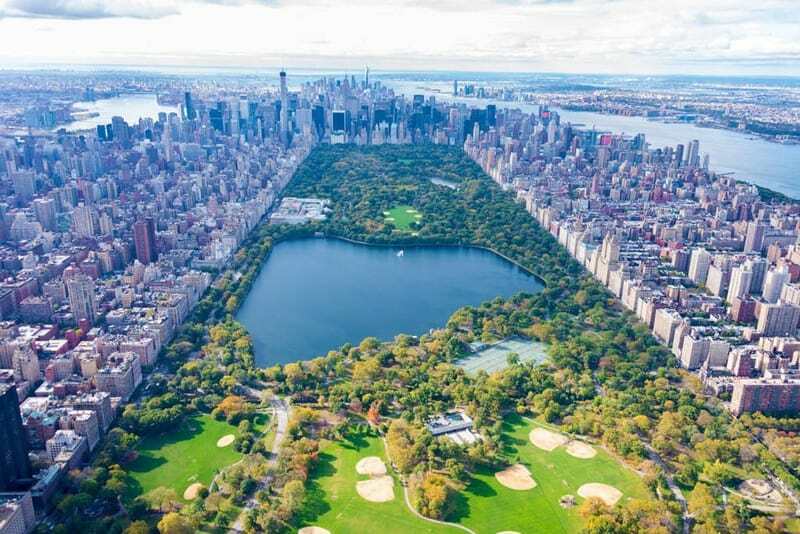 10 Amazing Things To Do In New York Absolutely Free! New York city is known as the “The City That Never Sleeps” and “The City of Fun”. True to these names New York is honestly an amazingly fun place to be. Fun 24*7. But, New York is also expensive. An average dinner can set you back by US$ 50 or around Rs 3000! So we compiled this list of the best free things you can do there to have an amazing time! Now don’t worry about breaking your bank balance visiting New York! Here are 10 amazing things to do in New York absolutely free! One of the 1st things that travellers to New York do, is to tour the Statue of Liberty. An average tour costs about $20. But what if we told you that it can be done for free! 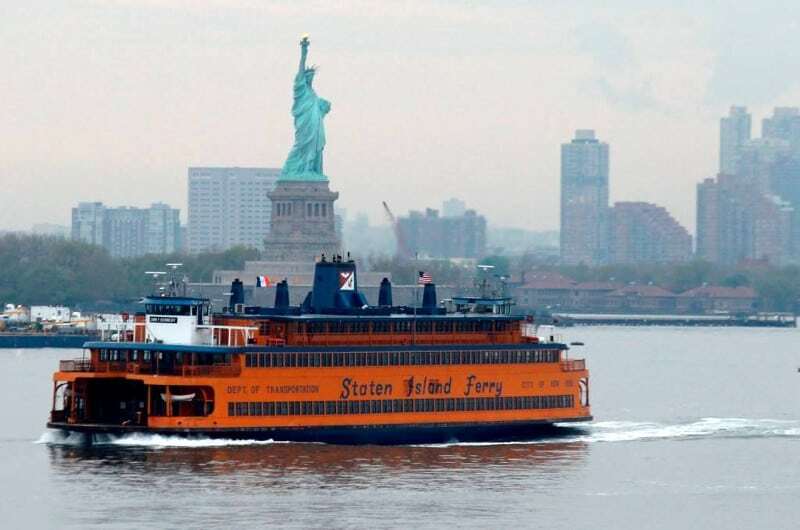 Literally, thousands of New Yorkers do just that on the Staten Island Ferry, completely free! Pass the Lady Liberty on the Staten Island Ferry and save money by not spending it on fancy tours. What’s better than hearing the word “free”? Seeing the word beer along with it of course! Free beer for you in New York, no we are not kidding. Take a tour of the New York breweries. Very popular among travellers, a brewery tour explains the process of beer making along with a free complimentary beer thrown in! 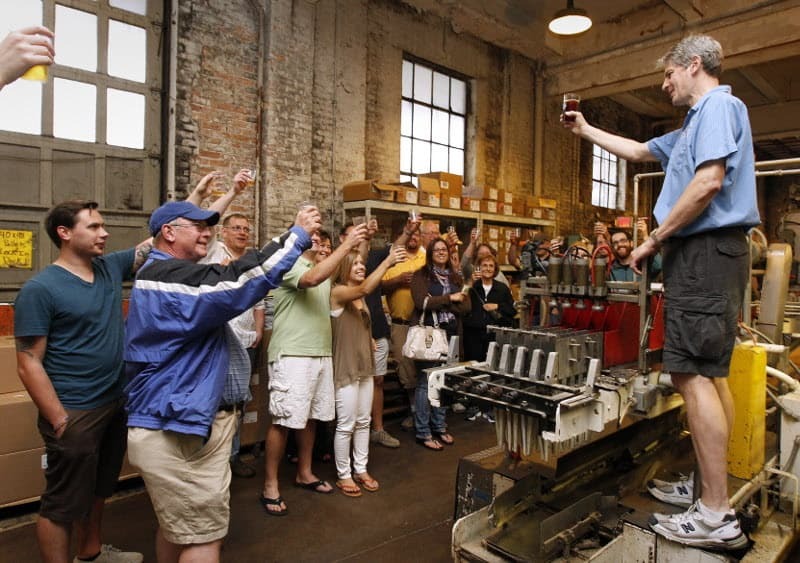 The Chelsea Brewing Company which is the largest microbrewery in Manhattan is especially popular. Bryant Park in New York is famous for year-round fun-filled activities. 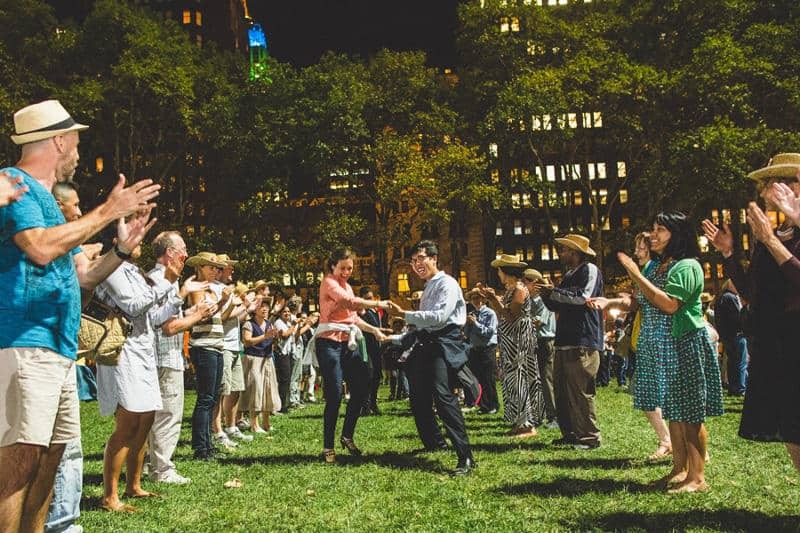 A popular tradition in August and September is free dance classes in Bryant Park. Every Saturday morning at 11 am the Limón Dance Company gets onto the lawn and gives free classes on everything from salsa to ballroom dances. Head to Bryant Park for a some happy dancing time with New Yorkers! Along with the Statue of Liberty, Central Park is one of the most iconic attractions in New York City. It’s the biggest public park in New York and covers an area spanning nearly 843 acres! Situated bang in the middle of towering high rise buildings, Central Park offers a green zone for the residents of the city. You can enter for free and take a stroll admiring the beautiful gardens and lakes within one of the best public parks in the world! Leaning over the Brooklyn Bridge to look at the Hudson River below is what most travellers do. But you can do something even better and different. Kayak through the Hudson, looking up at the Brooklyn Bridge above! That too for free! Just head down to Pier 26 in Tribeca or to the Manhattan Community Boathouse in Pier 96, Midtown. 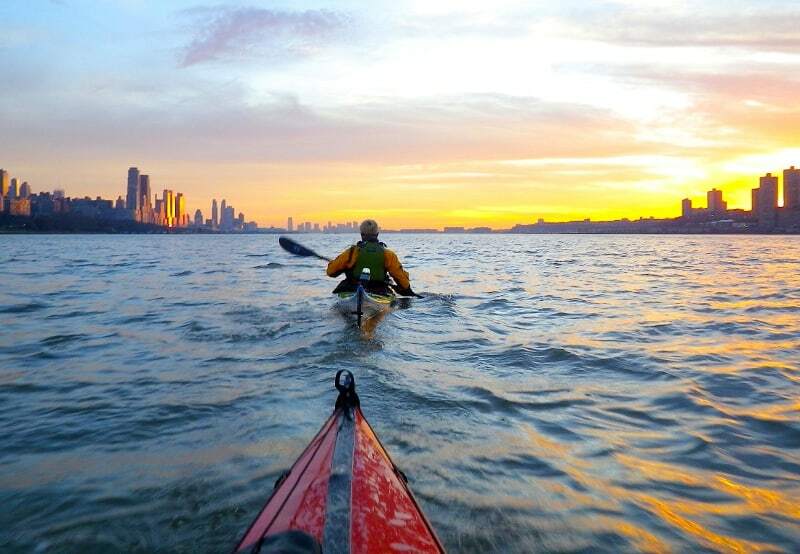 Take a Kayak and float down the river enjoying the beautiful skyline of New York City. In New York, it costs around US$ 9 for a regular movie ticket. 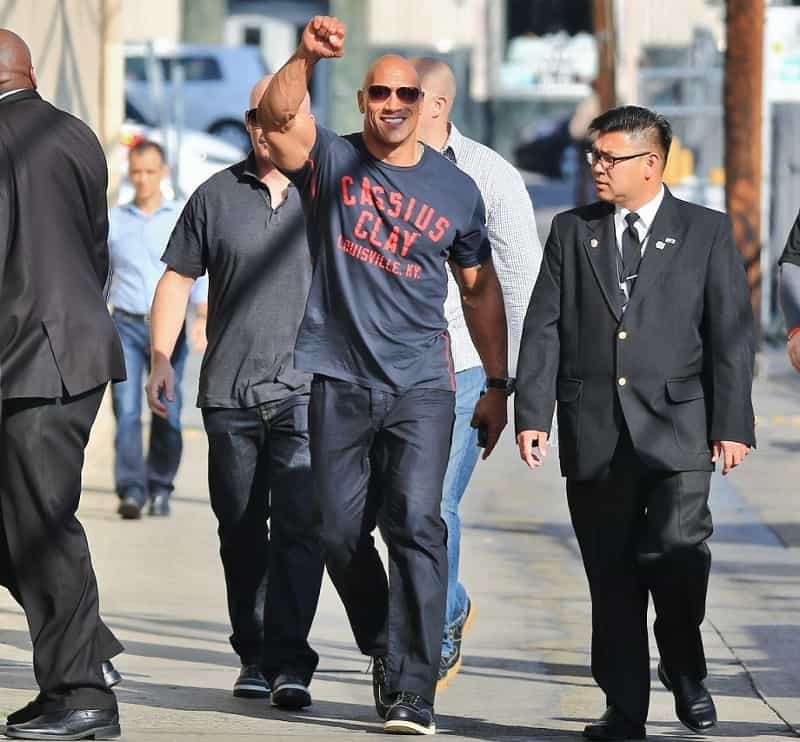 Instead, you can catch the best of Hollywood by heading down to Pier 1. 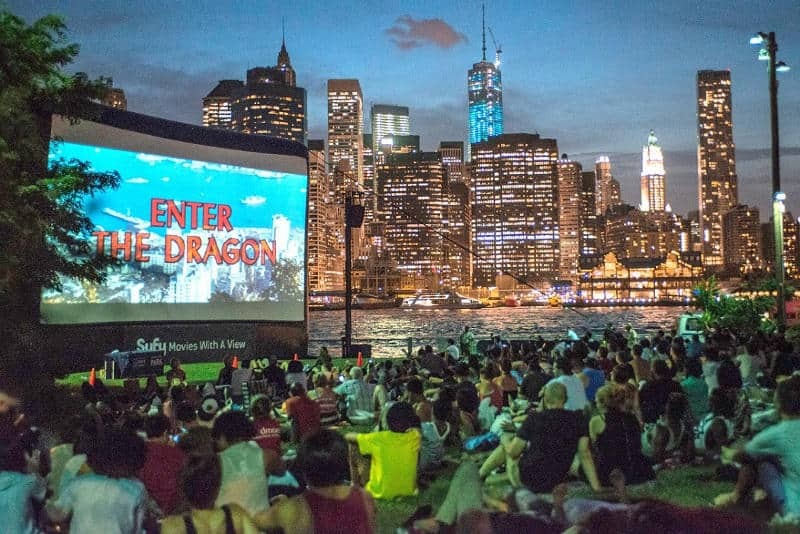 Every Thursday, Hollywood classics are shown in Pier 1, set against the backdrop of the New York Harbour and Lower Manhattan. Enjoy a good movie and socialize with movie aficionados as the event kicks off with music from the DJ’s at Brooklyn Radio. New York city is practically teeming with movie stars. Most of the times some or the other Hollywood movies are being shot at the iconic locations in the city such as Central Park, Times Square NY Public Library or the Brooklyn Bridge. So as mentioned before, you could not only watch a Hollywood classic for free but you can also meet Hollywood stars for free! OnLocationVacations.com is a website where you can find out in which location movies will be filmed in New York, up to 3 weeks in advance. 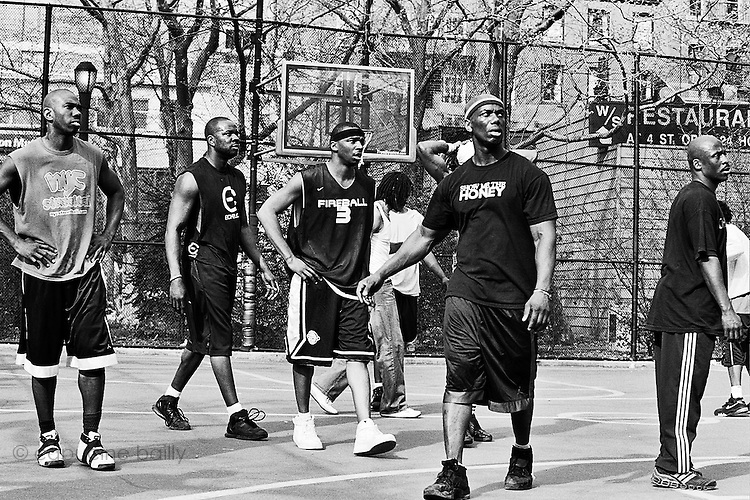 The Basketball action in US is one of the most intense, eye-catching and best around the world. This is the reason the NBA is so popular. However, tickets to an NBA match in New York can cost you around US$ 190! Instead, you can head down to West 4th Street Courts where the atmosphere is more raw and enthusiastic. Get free courtside view of budding NBA stars battling it out within the cage, a court half the regular size of a regular basketball court. New York City has got a very happening comedy scene. 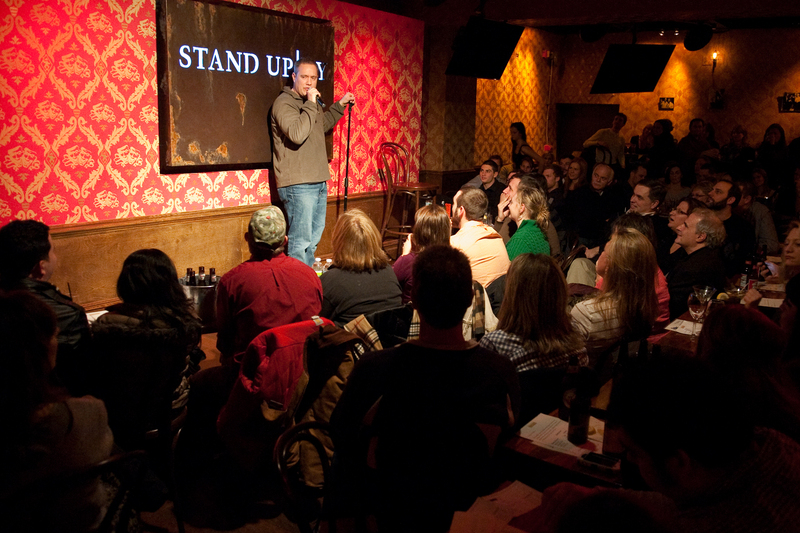 There are many bars and comedy clubs where you can enjoy comedy gigs such as stand up or improvisations. However, they cost a lot of money. You can easily enjoy free stand up comedy performances at the weekly stand up gig Whiplash. Head down to the Upright Citizens Brigade Theatre, or better yet to the Alligator Lounge where every Tuesday you also get free pizza along with a free dose of comedy! 10. Free Music at BAM Cafe! Attending a well-orchestrated musical performance can be an incredible experience. In New York, there are regular shows offered by the best musicians from around the world. However, the average cost of attending a paid musical concert is around US$ 100! Fear not. 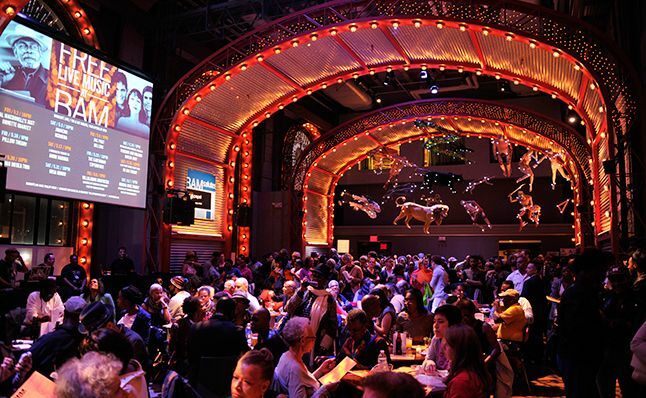 You can enjoy world-class music for free at the Brooklyn Academy of Music Cafe – BAMCafe. It’s a beautiful cafe where free music concerts are held every weekend. Experience a diverse mix of free live music from rock, jazz, R&B, world, pop, and more from new and established artists. Sophisticated!